In March of 2015, Sonia Dias, waste specialist with WIEGO, documented the struggles and conquests of women waste pickers in Buenos Aires, Argentina. 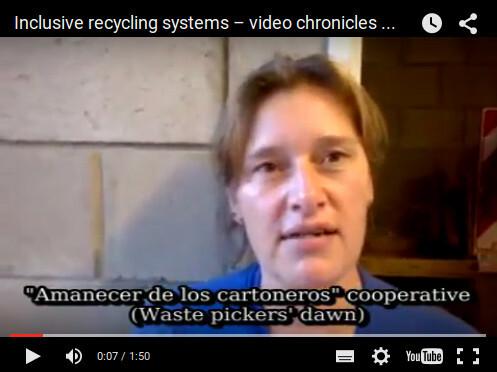 In the videos below, Tania Alfonso, Paola Caviedes and Jacqueline Flores discuss their victories, dreams and the important role of women waste pickers. This article is part of the series “Scenes from the Heart of Recycling”.